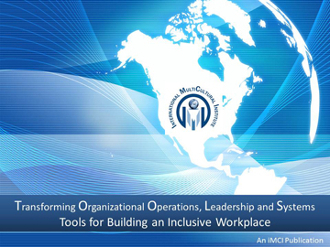 This toolkit is designed as a handy, desktop reference for managers and employees working to create and sustain an inclusive workplace environment. It may be used to reinforce what has been learned in a diversity training workshop or as a guide to help organizations increase cultural competence in the workplace. We encourage you to use it in conjunction with TIPS – a desktop reference that explores and explains some of the ways diversity and culture impact interpersonal interactions. Copyright © 2012-2019 International MultiCultural Institute. All rights reserved.